From the modest beginnings in 1988, to being recognised as the best road marking Company in India, our journey has been exciting and eventful. Automark Technologies (India) Pvt. Ltd. today is the foremost manufacturer,applicator and Exporter of thermoplastic road marking materials in India.This has been possible and is primarily attributed to our business strategy in the market, which combines manufacturing of high quality materials based on the latest technology and the largest and most effective contracting agency in the country. We have established our subsidary company in Tanzania and are in the process of establishing our subsidaries in few other countries. We started manufacturing thermoplastic materials in 2004 with a production capacity of about 5MT per day, which gradually increased as demand grew. We pro-actively planned for further growth. Now we have fully automated plant where we are producing 150 MT per day which utilises 75% of our installed production capacity. With no bottle - neck constraints we can immediately increase our production to 200 MT per day should demand require. We have laid the foundations to be able to increase our production even further in a short period of time, in anticipation of further growth. Today we manufacture about 30000 MT of Thermoplastic per annum. At Automark Technologies (India) Pvt. Ltd., international and domestic operations are progressing in line with the Management's expectations and our companies fleet expansion plan beginning from 3 application teams to 25 application teams. Pro-active investment in new application machines and production facilities with state of the art technology reflects the company's move towards investing for a bright and rising future. 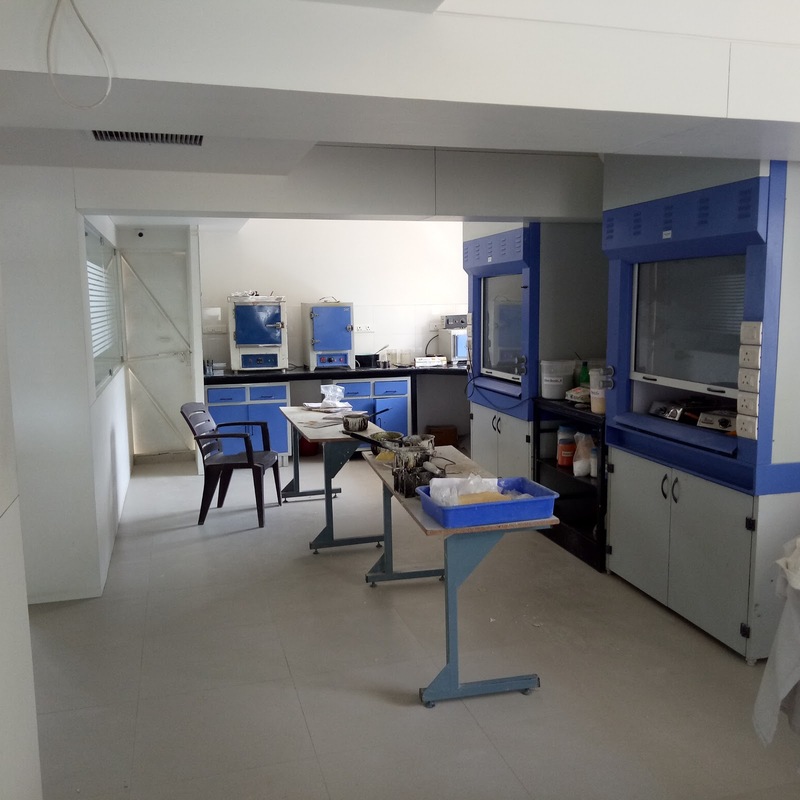 The company's in-house maintenance yards in Nagpur are fully operational and additional investment opportunities in the production, repair and maintenance areas are actively being investigated. At Automark Technologies (India) Pvt. Ltd., high commitment to quality is evidenced by the fact that it has been certified as an ISO 14001:2015 & 9001:2015 for all areas of operation. A sample from each batch of material produced is tested in our fully equipped laboratory to ensure. We fully appreciate that every country or region has its own distinct climatic conditions which may effect the satisfactory performance of road marking materials. Automark's considerable technical expertise together with a flexible production facility enable it to offer materials that perform well in all climatic conditions. In addition to our core range, thermoplastic road marking materials, Automark Technologies (India) Pvt. Ltd. also manufactures primers for concrete surfaces, solvent-free water-borne road marking paints and kerb marking paints. Unimark has vast experience in road marking technology, during which it has supplied road marking equipments in markets as diverse as western Europe, Scandinavia, eastern Europe and Russia, Africa, Asia, Australia and America.